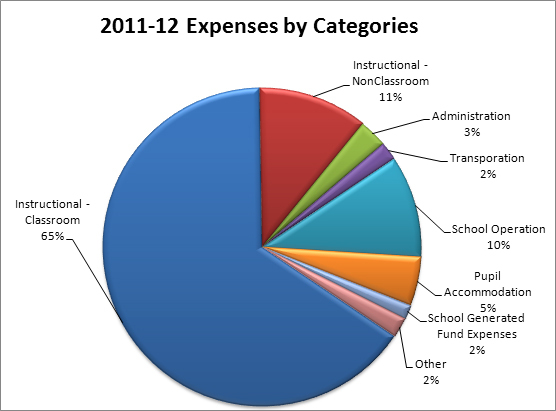 The TDSB's annual operating budget for 2011-2012 was $2.9 billion. In 2011-2012 $185 million in renovations and additions were completed and 1 new school was built. The chart below shows the Board's expenditures by categories such as classroom instruction, maintenance and administration.